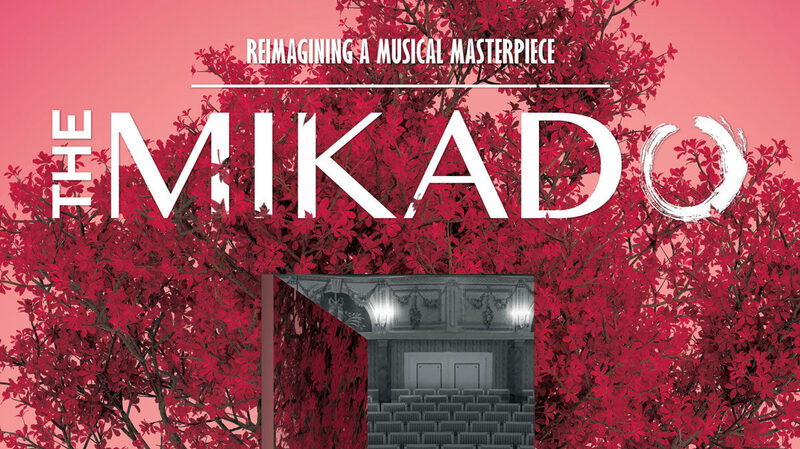 With memorable music, endearing characters and some of the wittiest lyrical comedy in the English language, The Mikado is a triumph of farce and flair. Impresario Richard D’Oyly Carte has determined that WS Gilbert and Sir Arthur Sullivan will be bound to produce a new comic opera at six months’ notice, despite creative differences and fatigue. Gilbert eventually finds inspiration in the emergent English curiosity for Japanese culture and begins writing a vibrant and colourful new operetta. In an amazing coincidence, a Japanese village exhibition featuring one hundred Japanese citizens opens in Knightsbridge at this time. Though having fleshed out the first act, the exhibition fosters Gilbert’s creativity, as his imagined Japan puts cherished English institutions to the sword. The Exhibition would run for two years in parallel with The Mikado. Nanki-Poo, the in-disguise son of The Mikado, has fled court to avoid an arranged marriage. He arrives in the town of Titipu seeking the beautiful Yum-Yum, only to find she is engaged to Ko-Ko, the Lord High Executioner – previously arrested on the charge of flirting. An edict from The Mikado demands a quota execution, but Koko cannot bring himself to kill anyone; Nanki-Poo declares he cannot live without Yum-Yum and plans to end it all. An idea is ignited to give them both what they want. However, the arrival in town of the spurned Katisha turns everything topsy-turvy. With melodious mischief and preposterous plots, the tangled web unravels; will the punishment fit the crime? GSOV is proud to present a vibrant and colourful new staging which will creatively intertwine Gilbert’s imagined Japan with a respectful nod to the country’s traditional culture. Supported by much-admired Director Andrew McGrail and Musical Director Timothy John Wilson, audiences are in for a treat with a reinvigorated interpretation of a much-loved classic.